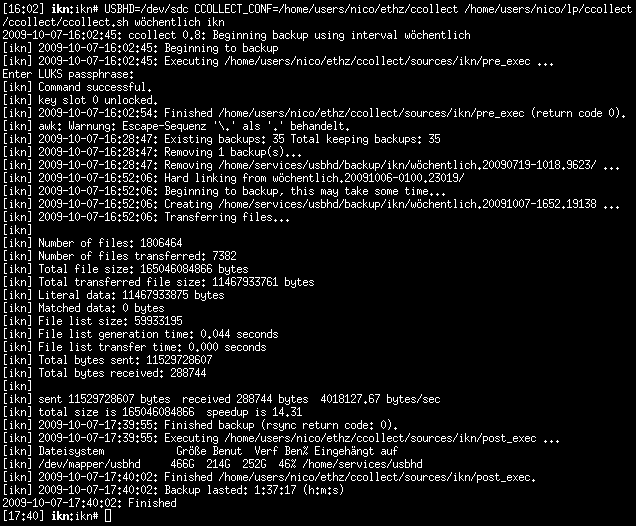 ccollect uses rsync for synchronisation. Since ccollect-0.2 there is asciidoc based documentation included in the distribution (see below). You should also be able to configure ccollect with the help of the example configuration in conf/.